Americans have more favorable views of the Israeli and Palestinian peoples than of their governments, according to a new Pew Research Center survey. And as previous surveys on this subject have shown, there are substantial partisan differences in these attitudes. 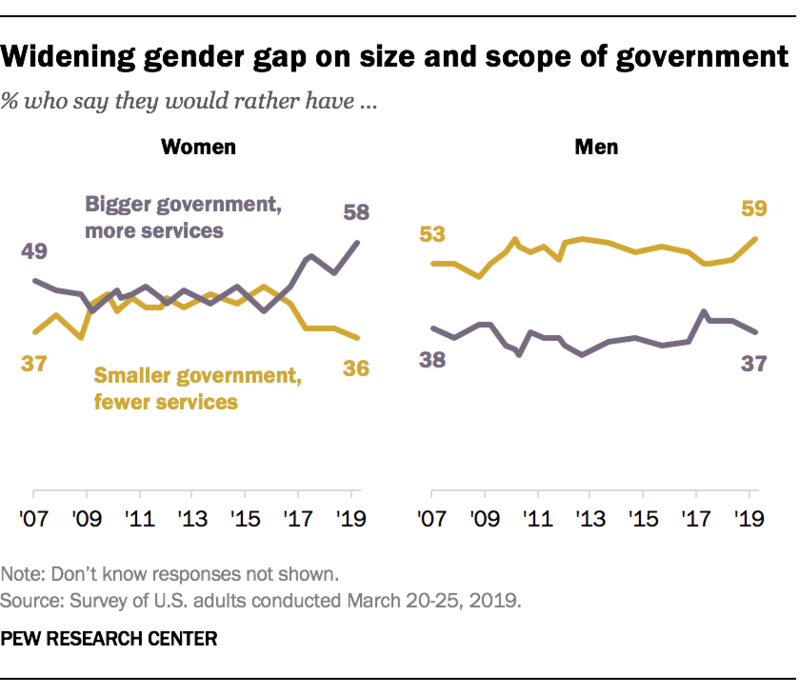 The survey was conducted April 1-15 among 10,523 adults on the Center’s nationally representative American Trends Panel. It asked one group of people whether they had favorable or unfavorable opinions of the Israeli people and, separately, of the Palestinian people. Another group of respondents was asked for its opinions of the Israeli government and the Palestinian government. For decades – most recently, last year – the Center asked a different question on this topic: “In the dispute between Israel and the Palestinians, which side do you sympathize with more, Israel or the Palestinians?” The Center has asked this question since 1993; for more than a decade before that, it was included in surveys conducted by Gallup for the Chicago Council on Foreign Relations. Since 1993, this question has been asked on telephone surveys. Previously, it had been asked in face-to-face interviews. We know from Pew Research Center surveys that 22% of U.S. adults use Twitter. But surveys can only tell us so much about how these Americans actually use the platform. 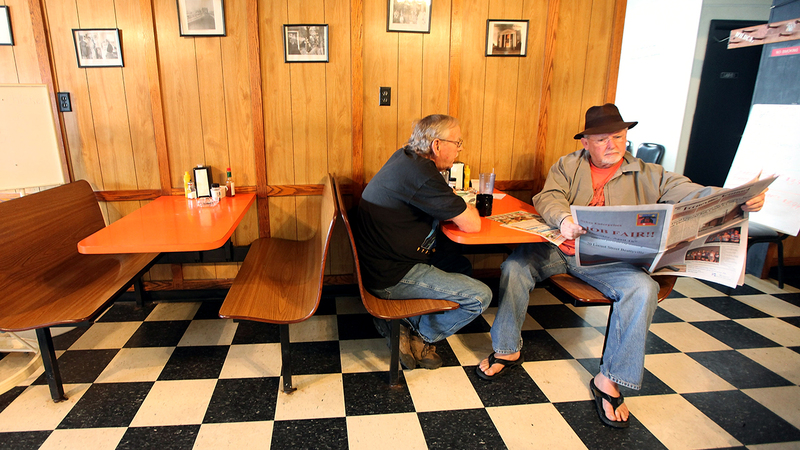 A new Pew Research Center study goes a step further. First, we asked survey respondents whether they use Twitter and, if so, for permission to look at their Twitter accounts. After reviewing each account, we quantified these Americans’ tweets, likes, followers and followings. The result is the Center’s first study of Twitter behavior that’s based on a representative sample of U.S. adults who use the platform. 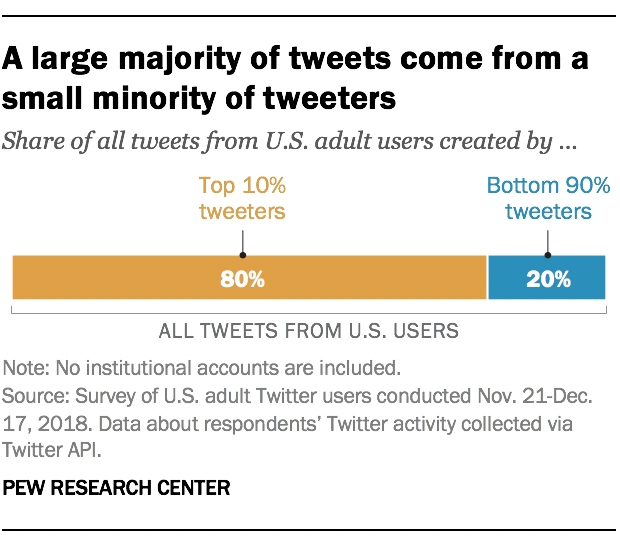 Among U.S. adults, Twitter discourse is dominated by a small share of tweeters. The most prolific tweeters – those in the top 10% by number of tweets – are responsible for 80% of all tweets created by U.S. adults. That includes all types of tweets: original tweets, retweets and quote tweets. Most U.S. adult Twitter users don’t engage much. 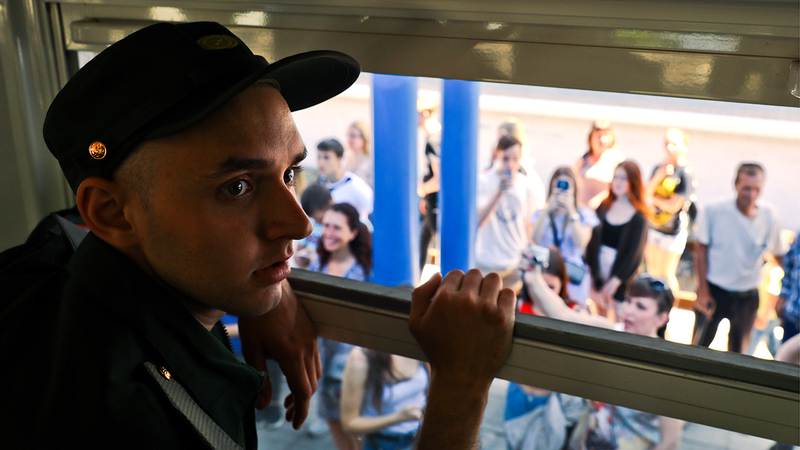 The median Twitter user posts two tweets a month, favorites one tweet a month, follows 89 accounts and has 25 followers. The most prolific tweeters among U.S. adults are especially likely to be women. Among the most prolific tweeters – again, those in the top 10% by number of tweets – 65% are women. Women account for 48% of less prolific users. A federal judge in Texas made news in February when he ruled that the United States’ male-only draft is unconstitutional. Many Americans, though, might not be aware that the U.S. still has a draft. It does, though mostly just on paper. For nearly four decades, the draft law’s only major requirement has been for men – but not women – to register with the Selective Service System within 30 days of their 18th birthday in case conscription is ever brought back. In fact, the U.S. is one of 23 countries where the military draft is authorized but not currently implemented. 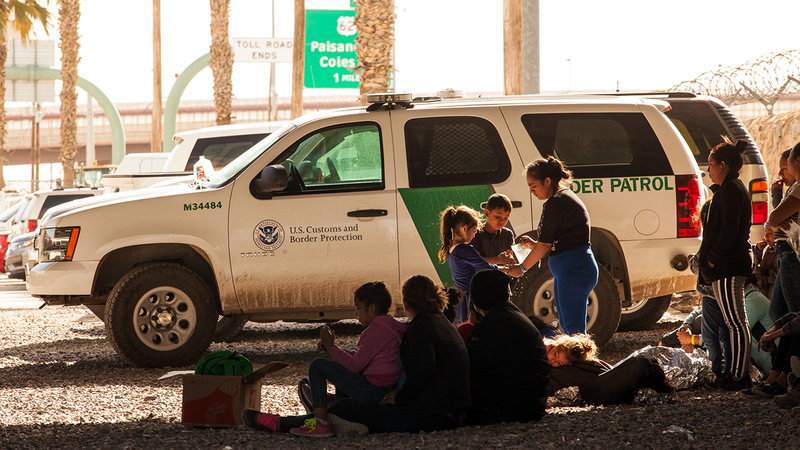 An additional 60 countries – fewer than a third of the 191 for which Pew Research Center found reliable information – have some form of an active conscription program. 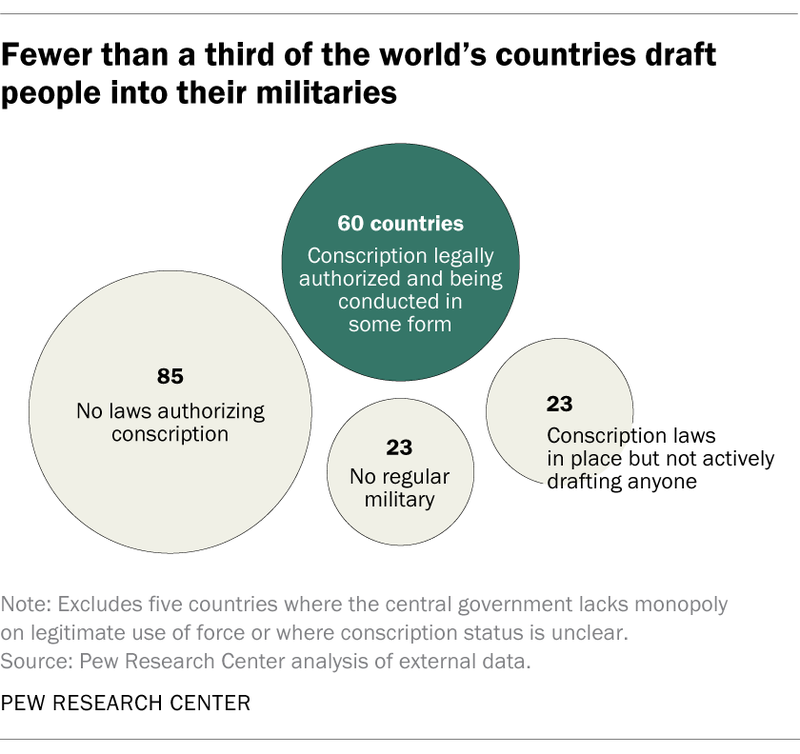 The other 108 countries we examined have no legal provision for compulsory military service; 23 of these don’t even have conventional armed forces. 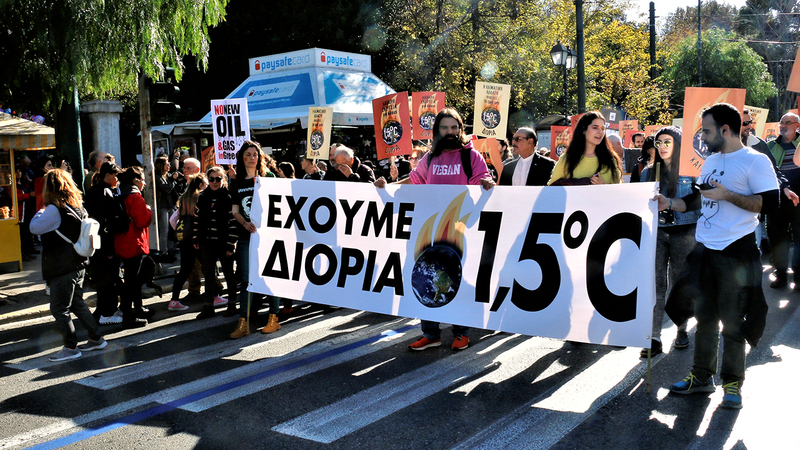 The degree to which climate change threatens the ecosystems of the Earth and societies around the world has been an ongoing subject of debate – and sometimes protest. As Earth Day nears, we take stock of U.S. public opinion about climate change, based on recent Pew Research Center surveys. 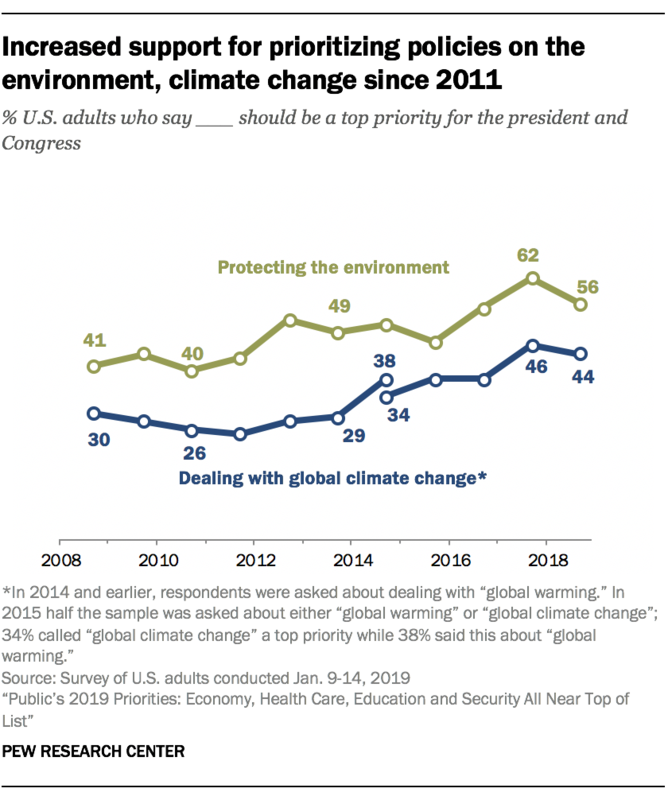 1 Compared with a decade ago, more Americans today say protecting the environment and dealing with global climate change should be top priorities for the president and Congress. 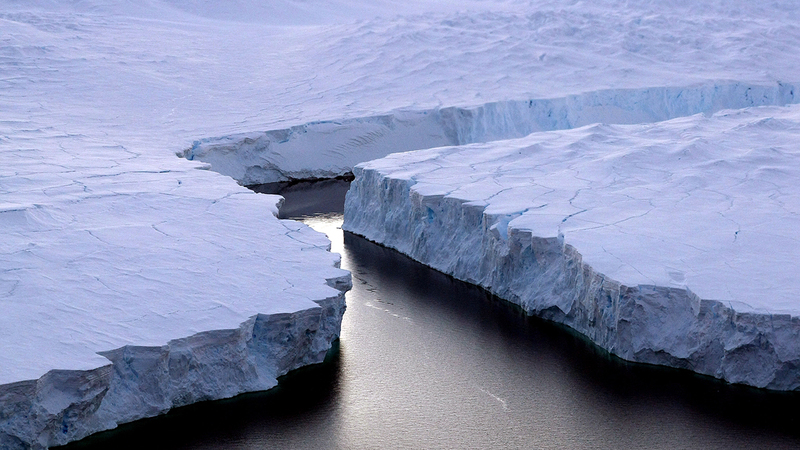 A majority of U.S. adults (56%) say protecting the environment should be a top priority for the president and Congress, while a smaller share (44%) says the same about dealing with global climate change, according to a 2019 Pew Research Center survey. Americans have a long to-do list for the president and Congress. 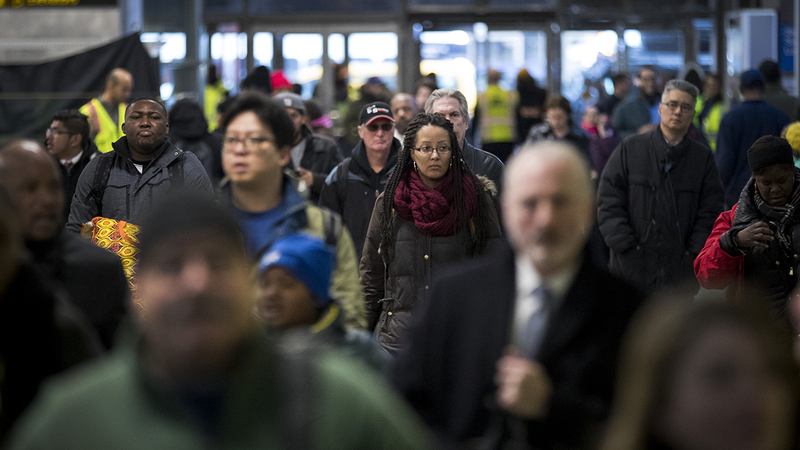 Protecting the environment has been near the middle of the public’s priorities in Center surveys over the past decade, while dealing with climate change has been lower on the list. But the shares of Americans who consider each to be a top priority have grown considerably since 2011. 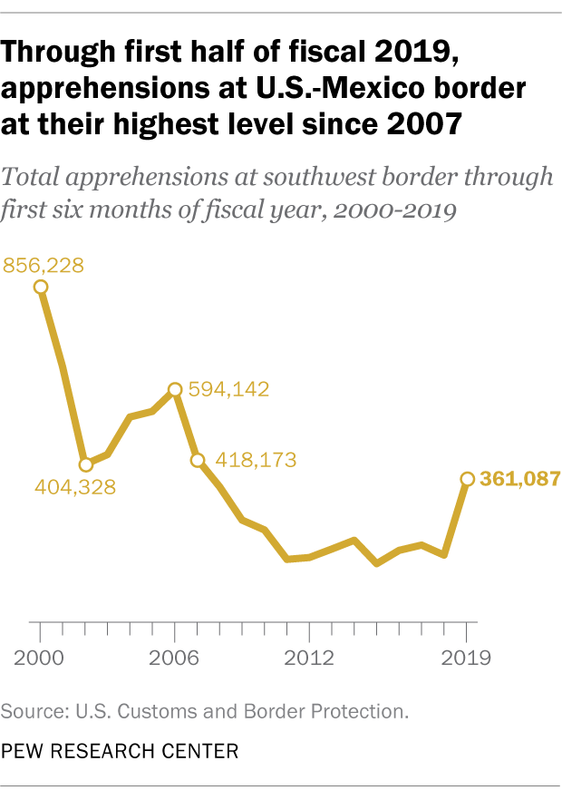 The increase has been especially pronounced among Democrats. 1 Majorities in most surveyed countries say global climate change is a major threat to their nation. In fact, it’s seen as the top threat in 13 of 26 surveyed countries, more than any other issue the survey asked about. People in Russia (43%), Nigeria (41%) and Israel (38%) are the least likely to say climate change is a major threat to their nation. Although the nation’s 73 million Millennials are the largest living adult generation, the next one – Generation Z – is entering adulthood. Also known as the post-Millennials, Gen Zers (those ages 7 to 22 this year) are on track to be the best educated and most diverse generation yet. Nearly half of Gen Zers (48%) are racial or ethnic minorities. Socially and politically, their liberal-leaning opinions on key issues are similar to those of Millennials. 2 Hispanics are projected to be the largest racial or ethnic minority group in the U.S. electorate when voters cast their ballots next year. The number of eligible voters who are Hispanic (32 million) is projected to surpass that of black eligible voters (30 million) for the first time, according to Pew Research Center projections based on data from the U.S. Census Bureau. However, voter turnout will play an important role in the influence of different racial and ethnic groups. In past elections, black voter turnout substantially surpassed Hispanic voter turnout. The projections indicate that whites will account for two-thirds of the electorate, a declining share.